Select the month from the top navigation bar. Click + to add a budget. Click the List Icon to switch to the list view. Green = less than 80% of a budget is used. Yellow = more than 80% of a budget is used. Red = more than 100% of a budget is used. 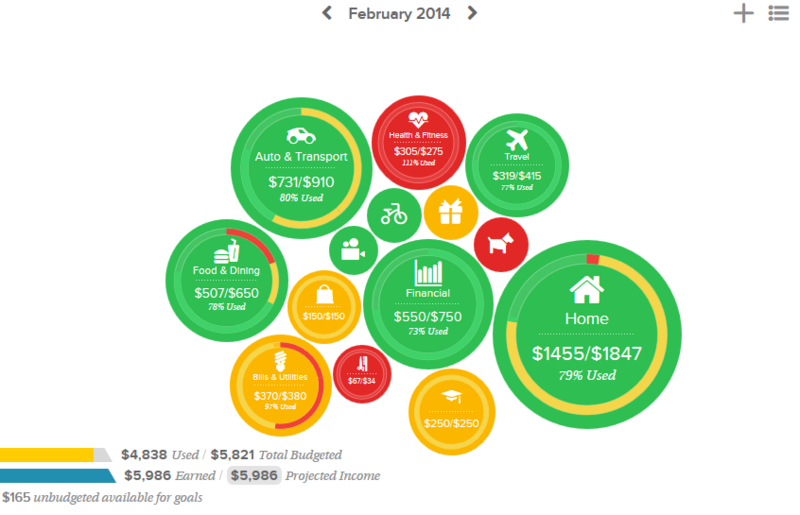 A yellow or red subcategory displays in the parent budget as a curved bar (as seen to the left). 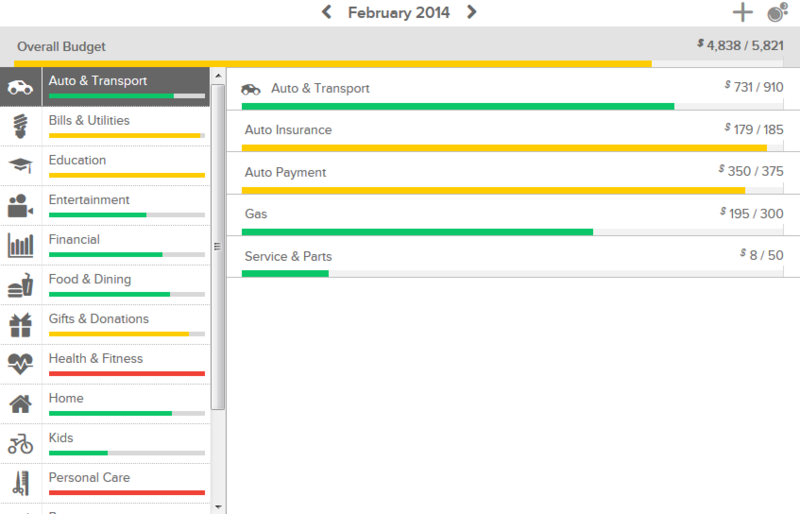 This lets you see subcategory spending at a glance. Click a budget to edit it. Click Projected Income to edit it. Click Budgeted Amount to change what your budget is set to. 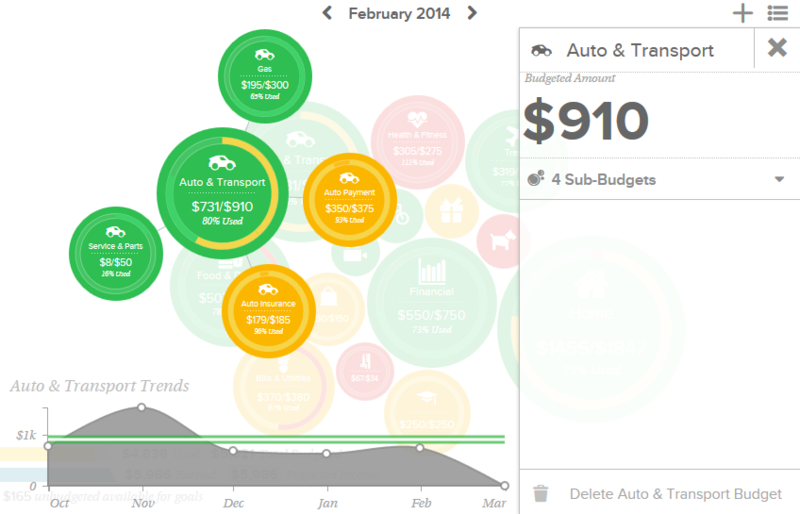 Use the chart at the bottom of the screen to budget with your historical spending in mind. The green line in the chart shows the current budgeted amount. Click Sub-Budgets to add subcategories. Click Delete to eliminate a budget. Click the dollar amount in the right-hand column to change how much is allocated to a particular budget. Click the bubble icon to return to the bubble budgets view. Note: A parent budget doesn't automatically decrease if you delete a subcategory.